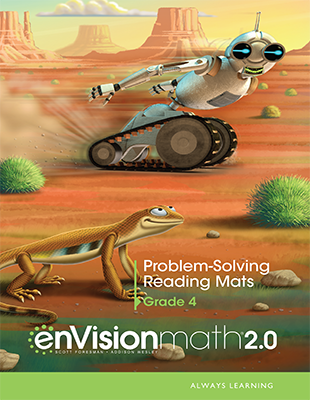 The K–6 consumable, two-volume Student’s Edition expands visual learning and provides an engaging worktext for students to record their solutions and thinking. Each Student Edition includes access to the Digital Courseware. Contains 2-volume Teacher's Edition and Teacher's Edition Program Overview. 2-volume consumable that contains blackline masters of all the program Teacher Resources. 2-part system with Teacher Guide and tests. 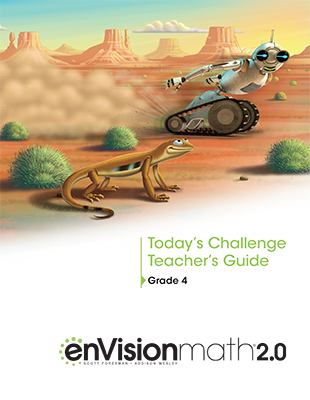 Contains the teacher's notes to accompany the digital Today's Challenge problems. 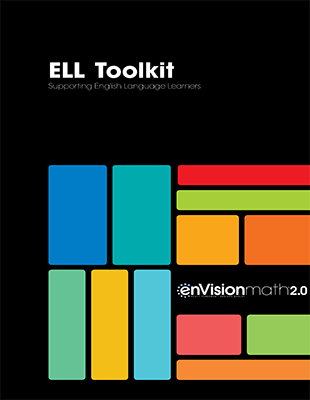 Book containing PD articles and blackline masters for use with ELL students. The Kit organizes all resources for center work. Canvas organizer comes with labels in English and Spanish, 6 classroom sets of Problem-Solving Reading Mats, and a Problem Solving Reading Activity Guide. Colorful, image-heavy mats for each Topic for use with the Quick-and-Easy Centers Kit for Differentiated Instruction. 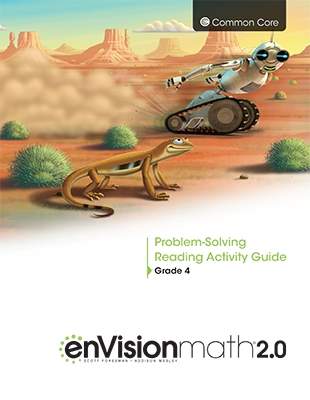 Contains the blackline masters and teaching notes for use with the Problem-Solving Reading Mats. Manipulative Kit for use in classroom demonstration. Easy-to-manage assortment of manipulatives for classroom use during lessons. Contains all program resources for offline use. Create and manage tests, quizzes, and worksheets using content from question banks. Contains digital Teacher's Edition on disc for offline use. Contains digital Student's Edition for offline use. Consumable 2-volume Student Edition with digital access.